You will fall in love with our long lasting, nourishing, natural mineral mascara. Our amazing formula is infused with coconut oil and vitamin B to hydrate each lash as it lengthens, strengthens and adds volume. Infused with coconut oil and Vitamin B for healthy lashes. 100% vegan. Cruelty-free. Formulated without FD & C colour, parabens, talc and mineral oil. Aqua, glyceryl stearate*, cetearyl alcohol*, hydroxyethylcellulose*, sorbitan oliviate*, glycerin*, citric acid*, acrylates cross polymer, xantham gum*, tocopherol* (vitamin e), jojoba esters*, panthenol (vitamin b)*, arabia/acacia gum*, potassium sorbate, cocos nucifera (coconut) oil*, chamomilla (chamomile) sativa fruit extract, algae extract*, cucumis sativus fruit extract*, macrosytis pyrifera (brown kelp) extract*, hydrolyze oriza sativa (rice) protein*. May Contain: iron oxides, CI 77499, mica. Apply with our signature wand starting at the base of your lashes upward. You can layer for a more dramatic effect. 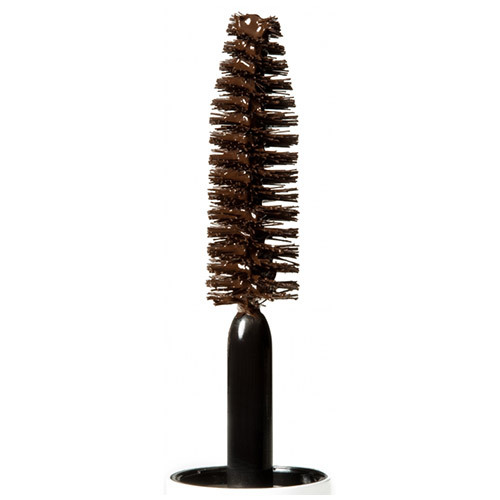 Below are reviews of Pacifica Stellar Gaze Mascara Brown - 8.8ml by bodykind customers. If you have tried this product we'd love to hear what you think so please leave a review. Lovely brush and goes on well. Best thing about this mascara is that it doesn’t smudge all day!